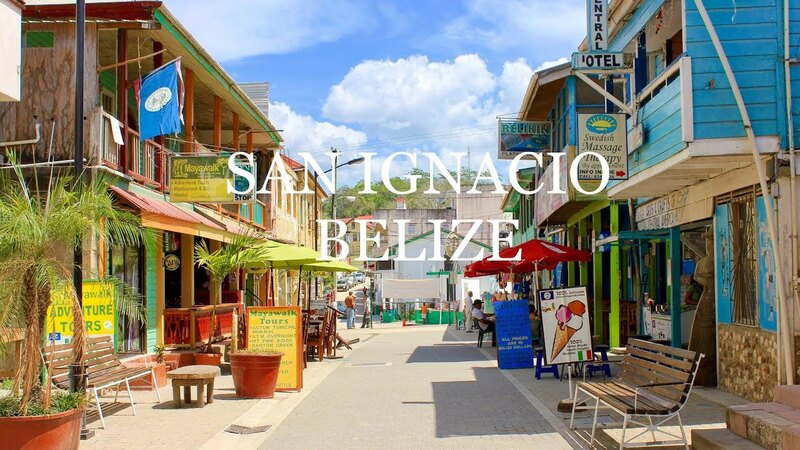 The eco-tourism capital of Belize’s western Cayo District, San Ignacio is a bustling market town and the second most populous inhabited area in the country. No trip to Belize would be complete without a visit to the open-air market in San Ignacio. Located right on the banks of the Macal River, this colorful market is where traders from all over the region come to swap gossip, hawk local produce, and sell souvenirs, handicrafts, and even traditional medicines. After visiting the market, you can go and explore the ancient Maya ruins of Cahal Pech, a cliffside residence built over 1,000 years ago for nobles and elite families. And if you’ve got some extra time, you can head out to the Maya ruins of Xunantunich near the Guatemalan border where the largest royal Maya tomb ever discovered was unearthed in 2016. For lunch, be sure to visit Benny’s Belizean restaurant in the village of San Jose Succotz followed by a refreshing swim at either Calla Creek or Clarissa Falls. Start your day off right with breakfast at Pop’s Restaurant, a literal hole-in-the-wall place that serves up heaping helpings of authentic local food. Then fix yourself a packed lunch and head to the enormous Mountain Pine Ridge Forest Reserve, a national park that is home to both deciduous and tropical trees as well as the tallest waterfalls in all of Central America. After visiting Caracol Maya Ruins, enjoy Rio on Pools and Big Rock Falls by taking a refreshing swim in the waters of these beautiful waterfalls. Once back in San Ignacio, be sure to hit up “the strip” on Burns Avenue, the main thoroughfare in the town. You can enjoy a wide variety of restaurants and bars, including authentic Chinese restaurants, steakhouses, pizza places, domestic brews, bakeries, and Italian cuisine. And don’t forget to get some dessert at the Ice Cream Shoppe where everything is made from locally sourced ingredients. If you’d like to explore San Ignacio with a rental vehicle, be sure to get your car from Barefoot Rentals and Services. Barefoot has cars and SUVs that are perfect for exploring San Ignacio and the surrounding region.